A cool, sleek architect-designed holiday apartment. 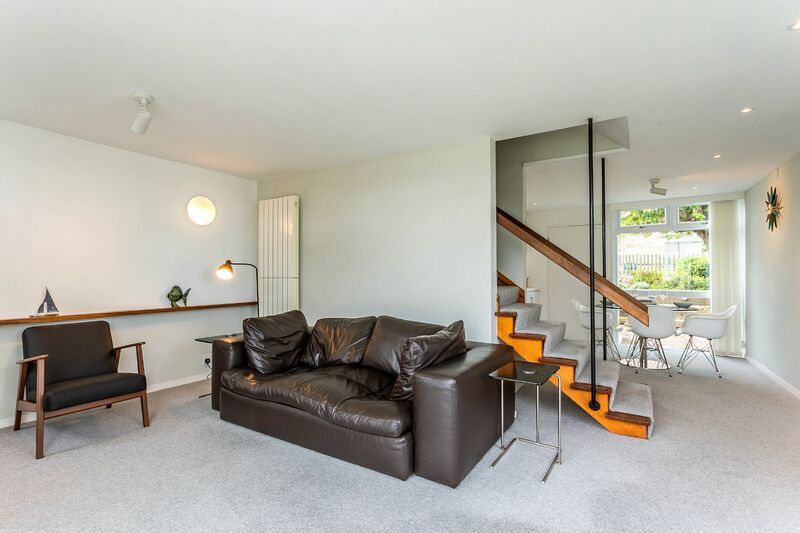 This immaculately presented 2 bedroom house sits at the end of a small terrace in this small 1970's architect designed development in a quiet residential area just above Berry Head Road. 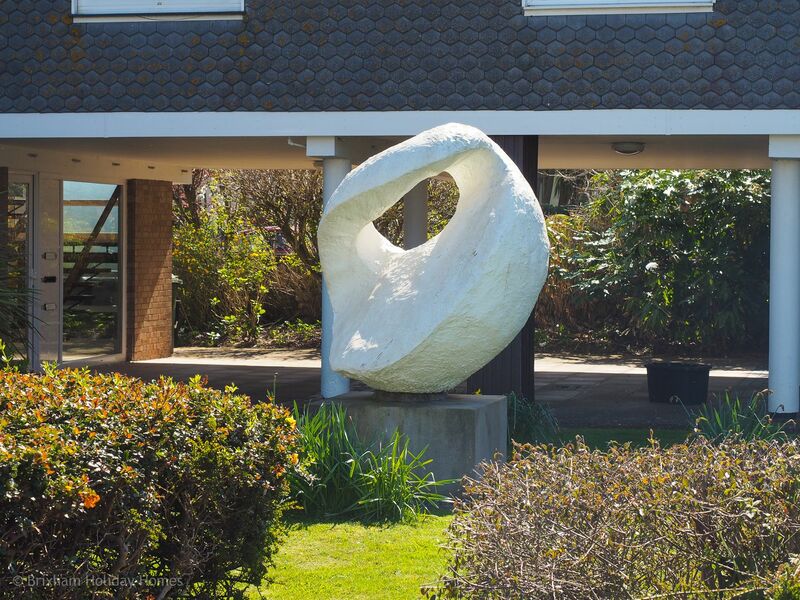 It's surrounded by well kept gardens with modern sculptures and lots of free onsite parking spaces. Marine Park offers an ultra cool & sleek interior design and makes a luxurious base for a family or 2 couples to explore the area from. It is a 15 minute walk into the centre of Brixham with its many shops, cafes and restaurants. Brixham's famous free open air swimming pool and lido is just below the property off Berry Head Road (seasonal opening). 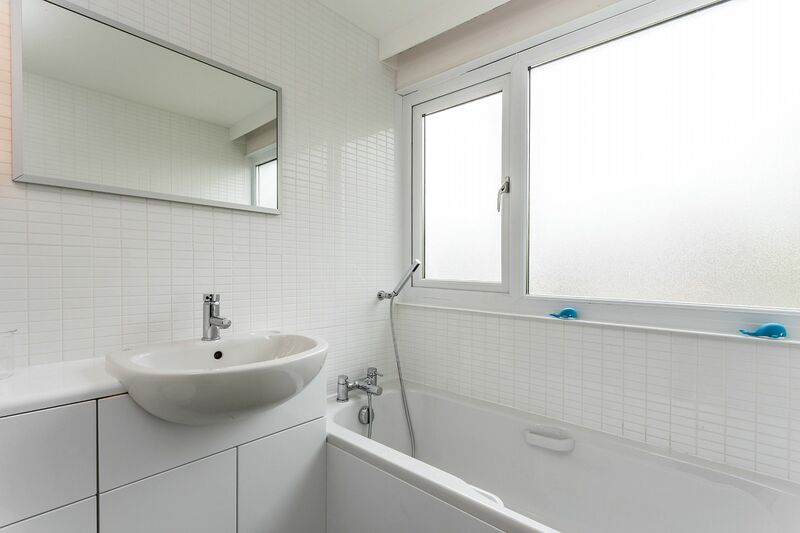 The accommodation briefly comprises: Double glazed entrance porch leading to open plan kitchen / dining area / lounge. 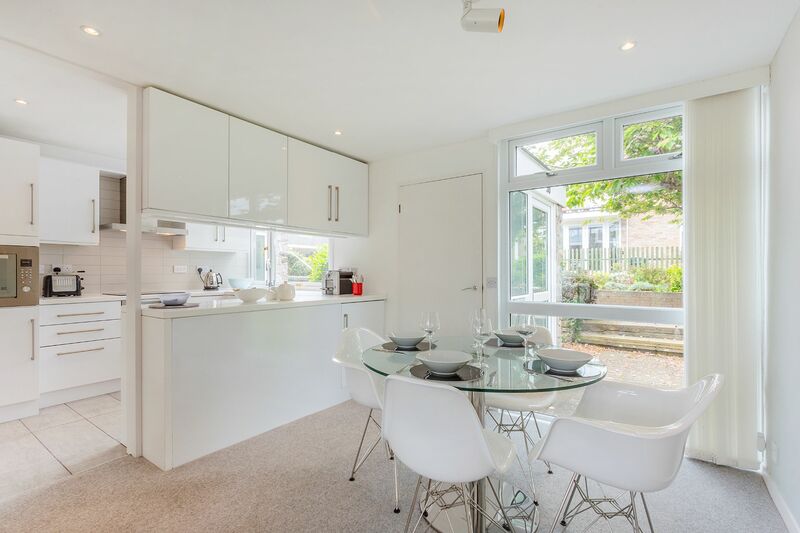 Dining table & 4 chairs, luxury fitted kitchen with built in fridge, freezer, dishwasher and washing machine. Pass through servery. A spacious dual aspect lounge features a large squishy leather sofa and 2 more seats, TV and Bluetooth music system. 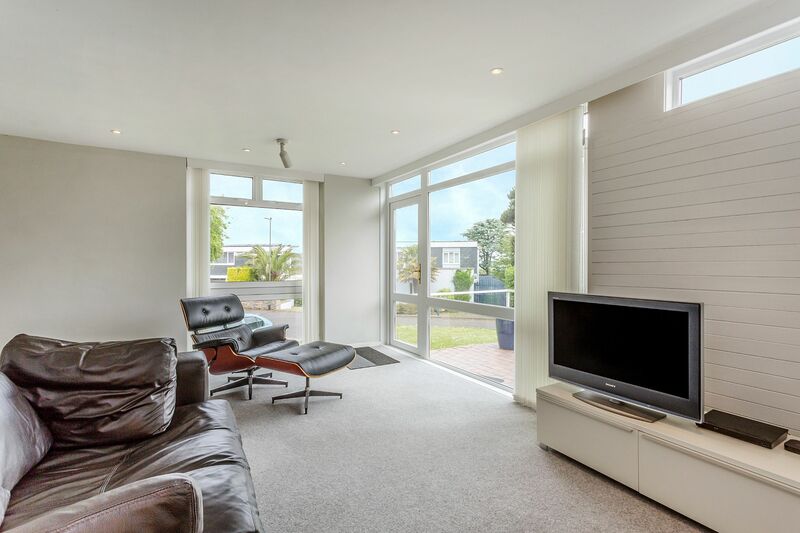 Sliding full height patio doors lead to a large front terrace with storage lockup & outside dining furniture. 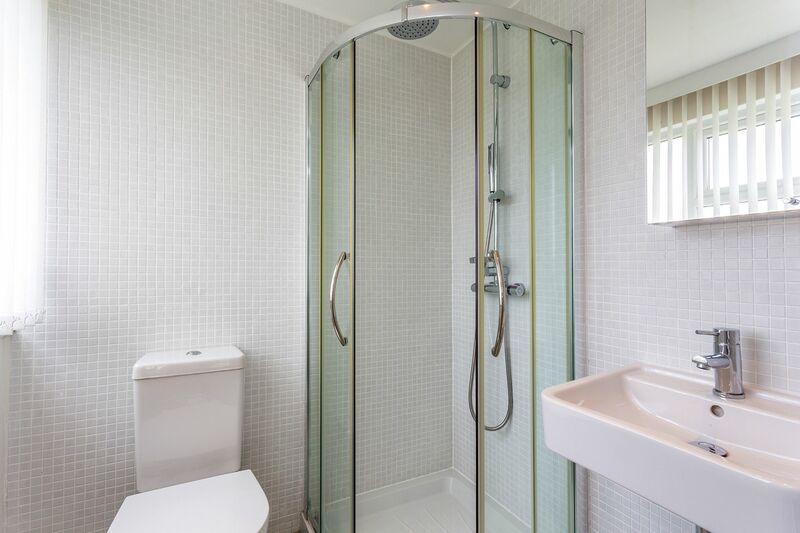 Stairs from the lounge lead to the upper floor, master en-suite bedroom, built in wardrobes, dual aspect windows with sea glimpses & en-suite shower room, additional family bathroom with bathtub and shower over, 2nd bedroom with built in wardrobes. 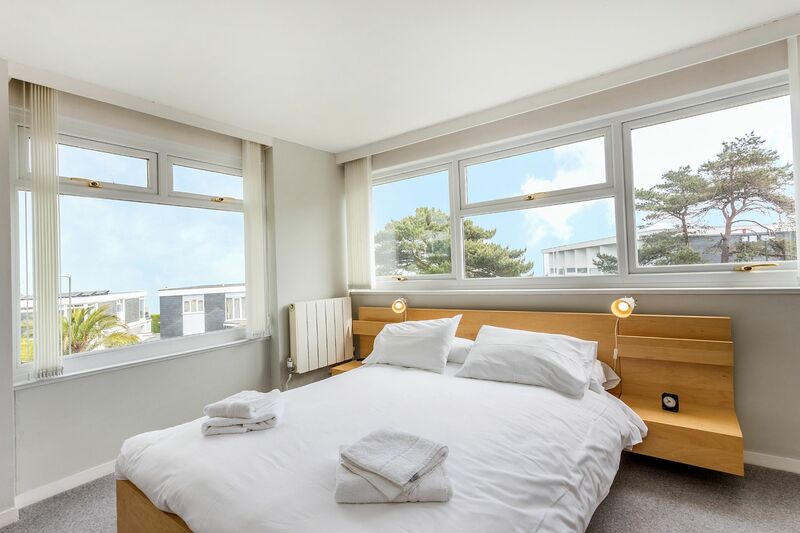 The property is spacious & well proportioned with lots of natural light and benefits from full gas central heating to make it a cosy snug during the winter and spring months. 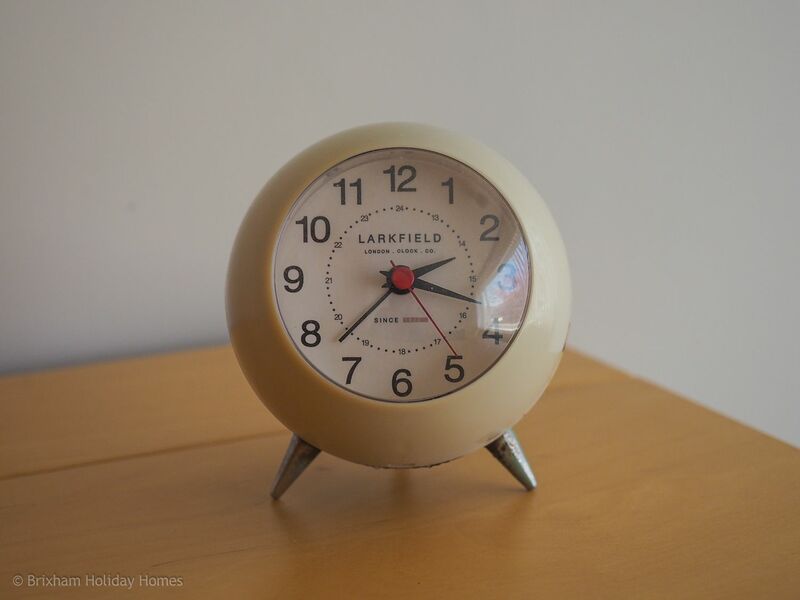 Please note that change over day is Friday for peak summer weeks. Flexible start and end dates are available during the rest of the season. 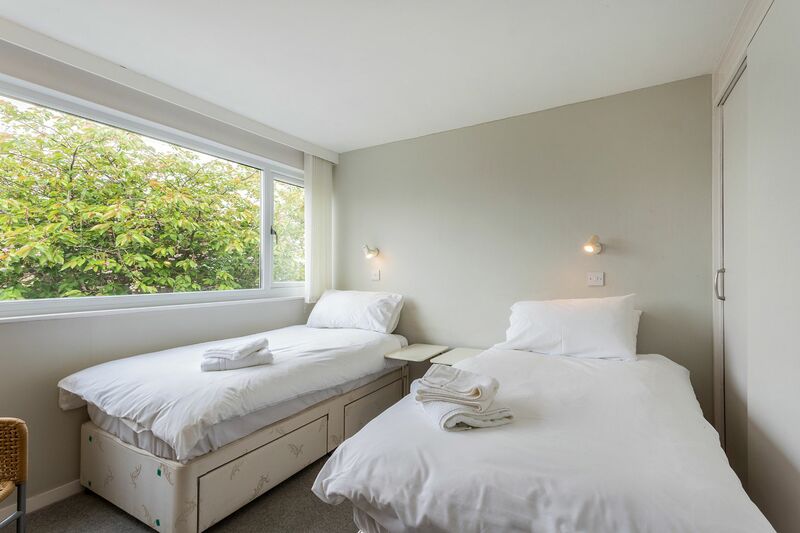 Short breaks of 2 nights or more are available outside of the peak summer weeks. No pets at this property - sorry Rex! 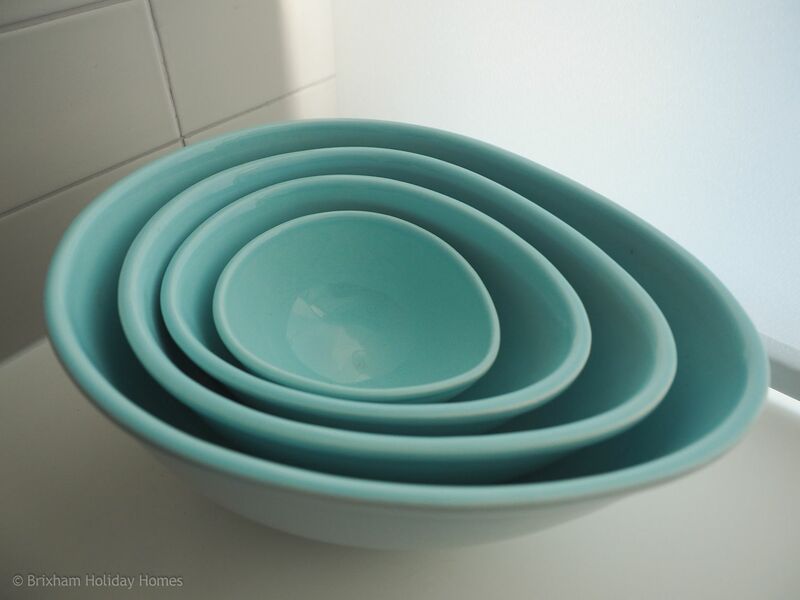 with a full range of glassware, pots, pans, cutlery, crockery and utensils. 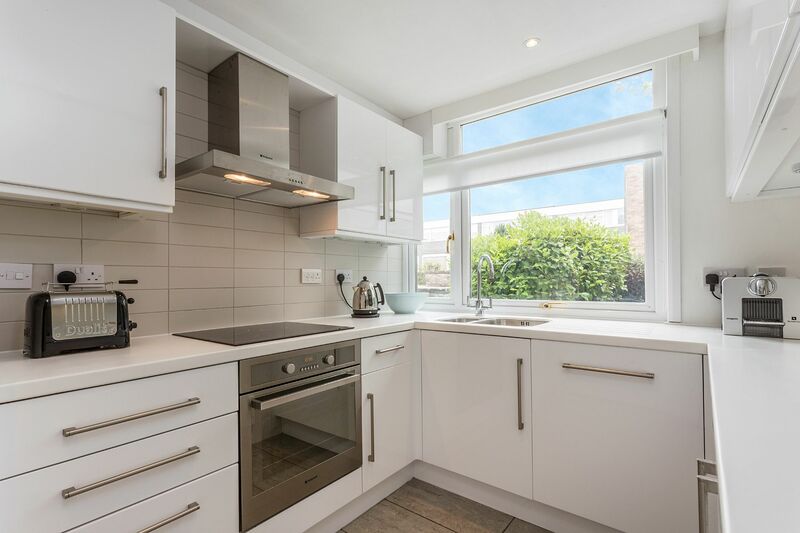 Built in fan oven, built in microwave oven, electric hob with extractor hood over, built in freezer, built in fridge, built in dishwasher, kettle, toaster. 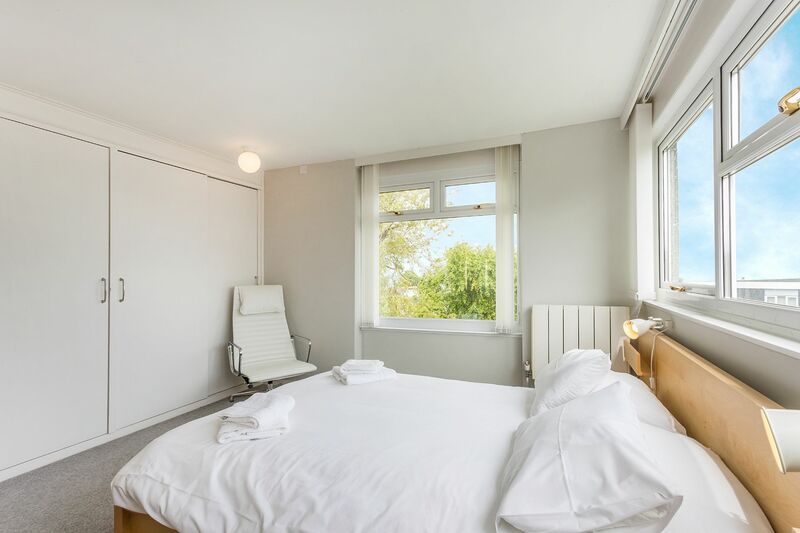 Dual aspect full height patio doors (with access to paved patio), vertical blinds, 2 designer armchairs & stool, large leather 2 seater sofa, 2 x glass side tables, built in shelf, low level TV media cabinet with drawers, TV & Bluetooth speaker. 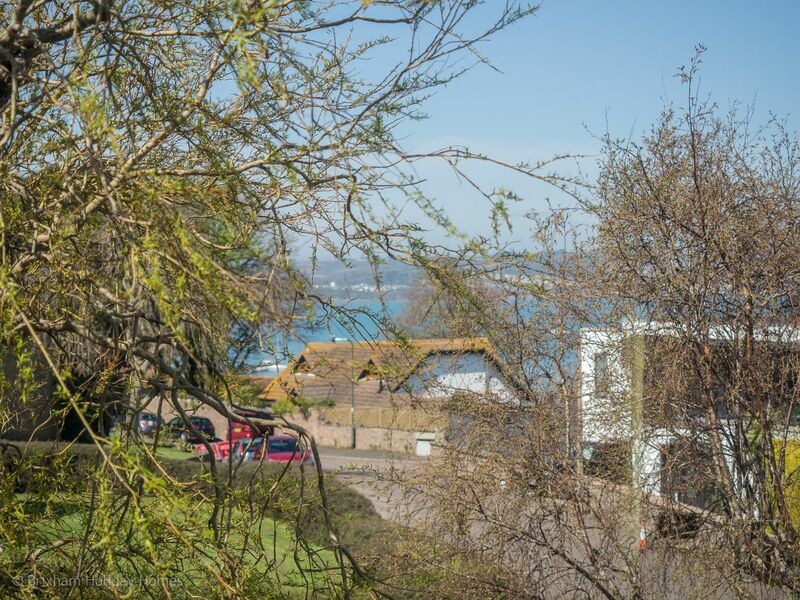 A well located apartment local to Brixham within 15 minute walk. 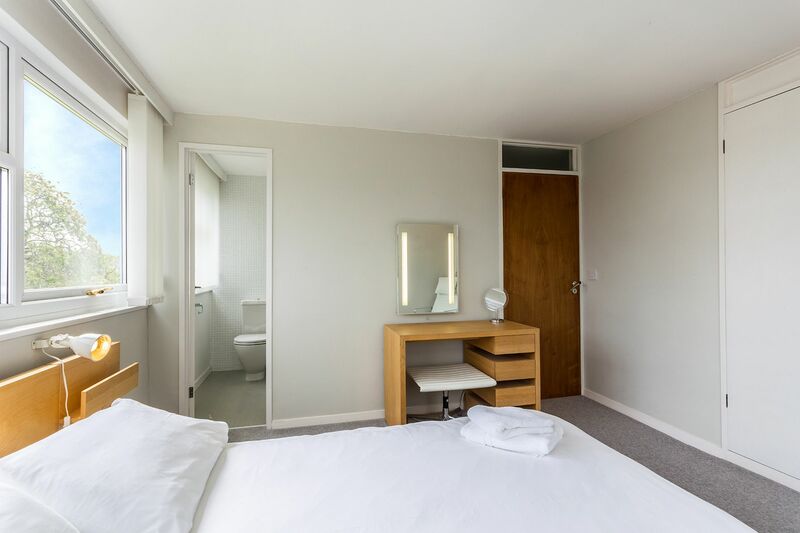 The apartment itself is well catered for with all the equipment that you will need, facilities were good, cleanliness was O.K, more attention to detail needed however on the whole O.K. 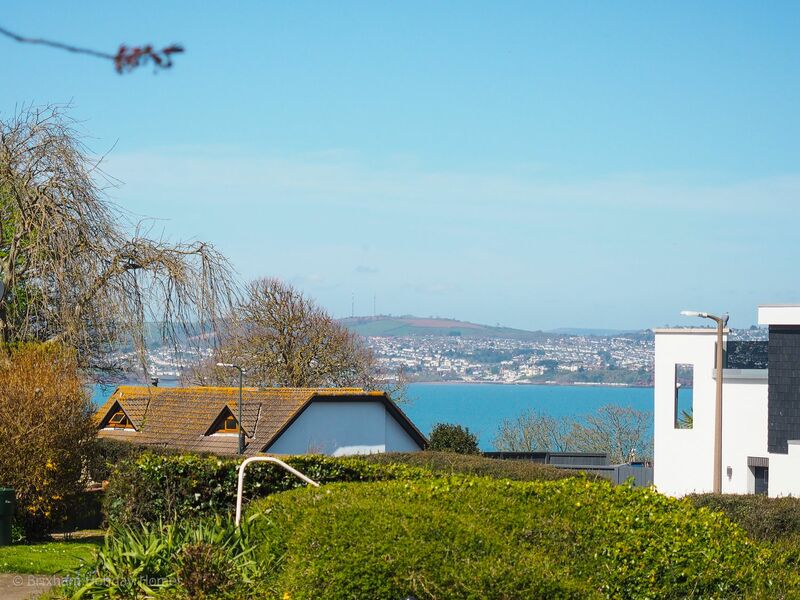 Located in the Berry Head area of Brixham in a quiet residential road. Approx 15 minute walk into Brixham centre with its many shops, restaurants and cafes. 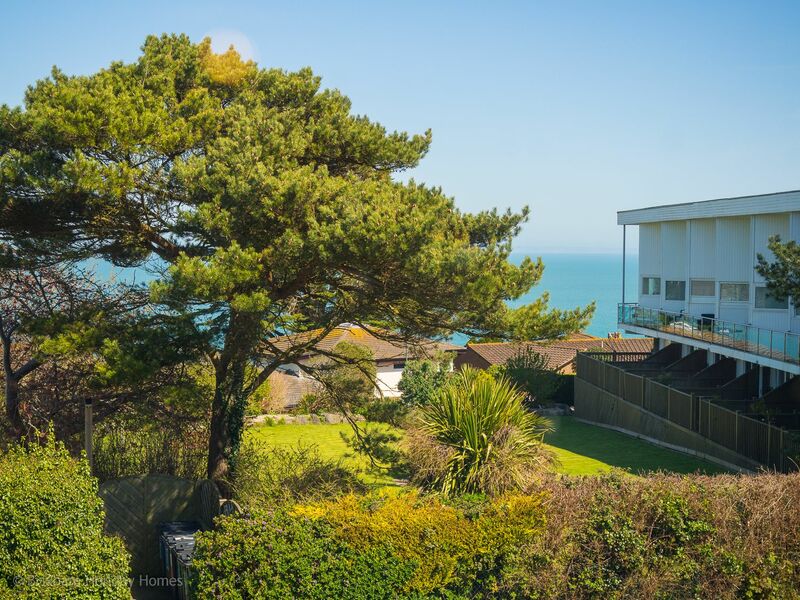 The property is situated close to the Shoalstone outdoor pool and lido. Plenty of free on-site parking is available.